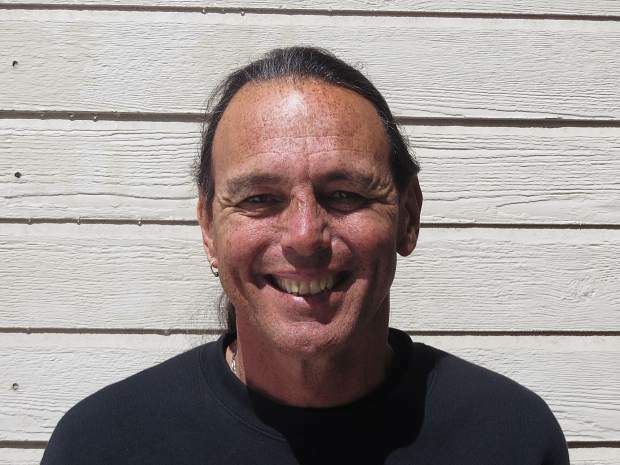 El Dorado County voters in District 5 have the choice of four candidates in the June 5. To help inform that decision, the Tribune posed a series of questions to each candidate via email. The candidates were asked to restrain their answers to specific word counts for each question. All the answers appear as submitted by the candidates. In order to vote in the upcoming election, those who are eligible to vote must register before midnight on Monday, May 21. Those who fail to register will have to visit the county elections office and conditionally register. Click here for more information. Please list any clubs, organizations that you are a part of and would like to mention: None i am a member of but i am involved with them all. I’m not a politician. I came on vacation 41 years ago and never left these beautiful mountains. I’ve attended countless meetings and have become convinced that we citizens in Tahoe, Pollock Pines, Strawberry, Kyburz & Tahoma require stronger representation in Placerville, our tax dollars are heard yet our voices are unheard. Issues like VHRs, Roundabouts, GPS, Senior Community Centers and our Meyers Plan seem to get studied but not solved. I believe I’m qualified to represent you because of my commitment and life experience. My wife, Pam, and I have been married 37 years, raised three children and own a tree service, roofing and construction clean up company. I’ve served our country for 20 years in the Nevada Army National Guard where I retired as a Major. I completed Air Assault School and the Marine Winter Warfare Mountain Leader Instructor’s course. I’ve written The Skibum article for 22 years about what is happening in our community and questioning the accountability and transparency of our government. I’ve not been politically correct. I’ve been community correct. The next four years don’t have to be as frustrating as the last four. I’ll honor your vote with accountability, accessibility and transparency and will return phone calls. Why should voters choose you over the other candidates? I do not seek any endorsements that would even hint at a conflict of interest as I would like to go into the position of County Supervisor for District V with a clean and clear conscience. This is the time for the community to get together and move forward. I do not take this position lightly and will be a full time supervisor and continue to be a full time resident. What is the largest issue facing District 5? District 5 is made up of a handful of different communities. How would you represent all those interests? How should the county address the issue of vacation home rentals? Do you support the idea of a temporary moratorium? YES. I was the first to suggest a temporary moratorium until we get the issue resolved. It is not fair to allow someone to start a VHR and then take it away if that is what is decided or there are stricter rules in place than someone thought. What role (if any) should the county play in alleviating the traffic issues in Meyers? I feel we, community members and the CHP, have solved the issue with the GPS. We just need to get the county to work with the CHP and impliment this program. To date they are working together. Some community members have said they feel alienated by some of your interactions on social media. How do you respond to those concerns and how do you ensure voters that you will represent all the residents of District 5? Loaded question as i do not know what interactions you are talking about and have no idea without specifics. Facebook should be taken at a distance when dealing with anonoymous posters. Is there anything else you would like the voters to know about you? Pam and I were married in 1981 at Emerald Bay and we celebrated our wedding day at the Amacker Ranch Rodeo. We have raised three children all of whom were born at Barton. I have mountain biked every trail and have swam in every lake in the Sierra’s. I have skied Mount Tallac, Trimmer and most of the other peaks in and around the Sierra’s and try and ski every day during the winter. I worked two jobs until I was 53 just to survive. I am a retired Army Major, having served for 20 years in the Nevada Army National Guard. I attended Lake Tahoe Community College when it was located on highway 50 and at it’s current location, I took all my business classes there and my company is successful for it (Thank You Mr. Mort Meir), my wife got her AA from LTCC, My oldest son Kaleb, a Navy Veteran, attended several classes there and my youngest son, Marshall also received his AA at LTCC. Our family’s roots are here and we are grateful to be able to live, work and play here. I am very active in our community both personally and professionally through my company where we provide labor, monetary donations, Firewood and services to all local community fundraisers and events. My company cleans the beaches, rakes the lawns and empty’s all the garbage cans at Regan Beach, El Dorado Beach and Lakeview Commons every July 5th and have done so for the last 20 years because it is the right thing to do. The Children’s Memorial Tree is and will always be a factor with our family as my son Kaleb has a plaque there as are so many of our kids who have passed before their time.